Shot a 75 yesterday at a new course for me. Kept it in play and pretty much always had either nGIR or GIR. Man have you gotten better. Evolvr works, eh? At the reminder of @iacas in a different thread, I have decided to continue this thread and continue to document my swing progress and provide an update on the current status of my swing. I've been fairly consistent with the iron shots lately, but still battling inconsistencies with the driver, some shots will be solid and straight, others will be massive 40-50 yard slices, not quite sure what is going on there, the strikes are in the middle of the clubface, I can see the ball mark after I hit it, but I definitely want to get it figured out before I get out on the course in the spring. I worked with evolvr for 3 ish months last fall until other debts and the holidays got in the way and I had to stop with evolvr. I am in a much better financial situation now so I do plan on resuming evolvr at some point within the next month or two. 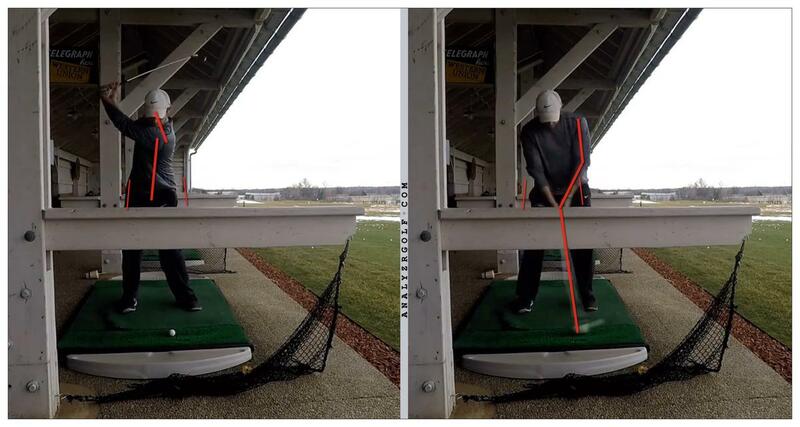 My biggest priority piece when working with evolvr was steady head, and looking at my swing face on today for the first time in months, it doesnt look too bad. Looks like theres a little movement, but not nearly as bad as had been. Still will continue to work on getting this nailed down. 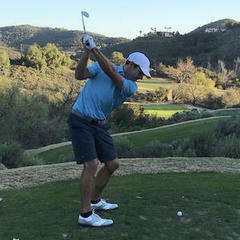 Another priority I had was rotating the back hip and moving my right pocket towards the target during the backswing. In the videos today I noticed I am not doing that at all, so that will be what I work on next, with daily dry swings in my house until I can get to the range again. As always, any comments, tips or advice is greatly appreciated! I don't agree on Key #1 stuff. You've gotta review your Key #1 work. 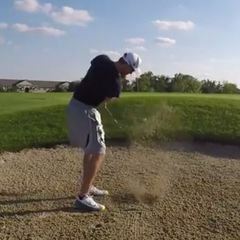 I doubt they would have had you shifting your hips back, turning your torso only 80°, and then not getting your weight forward on the downswing. Erik, thanks for taking a look at my most recent update! When you say you dont agree on Key #1 stuff, that means that my head is still moving too much, correct? I also didnt realize my hips were shifting back as much as they are. I think the feeling of turning my back right pocket towards the target should help minimize some of that shift back. Seeing where you have drawn lines on my swing will also help me know what to look for in future video reviews on my own. I am going to rewatch the videos in the 5SK Video Thread and start from there, specifically focusing on key #1. Key #1 is not about the head, really, it's about the pivot. You could keep your head locked still in a vice and still make an improper pivot. The hips shifting back are a Key #1/#2 issue. The reverse axis tilt puts it more, IMO, toward Key #1. Makes sense about it being the pivot more so than the head. Based on that, I think these two would be great drills from @mvmac for me to start with to work on the reverse axis tilt. Yeah the steady head is just a byproduct of a functional pivot. I think the drill with the stick is good, getting the left shoulder to move down and across. These would also be good. Some players response better with feeling the right side of the body turn back and around while others like the feel it more with the left side. Get in front of a mirror and do the movement correctly. Take note of what you have to feel to do it, what "clicks" the best for you. So I've been attempting to do some dry motions in my basement without a club and the results have been mixed. I can definitely get the feeling of moving my right pocket towards the target and keeping my front hip pretty stationary, but my upper body really wants to cave over towards the target the moment I feel my back hip rotating. Even when doing the wall drill, I can increase the distance between my back hip and the wall via rotation, but my torso wants to fold over forward. Its uncomfortable and I can definitely feel it in my left lat muscle when I try to really push back and try to keep the torso from folding forward. Is that a normal feeling? I noticed @iacas in one video about hip turn you mentioned how you felt tension in your right leg and hip, I feel all of mine in my left side as a fight to keep it from collapsing forward. Is that normal or am I doing something wrong? Do it in a mirror and see what feelings you feel when you do it "right." The front hip doesn't have to stay in place. I don't know. Feelings vary. Try feeling that you're bent over your right hip a little at the top. Feelings are pretty unique to the person. Just do the right thing and see what it feels like to you. Before evolvr you leaned WAY forward, so feeling a little of the proper axis tilt is going to feel "different" to you for awhile. Try to do what I'm doing in that video with the shaft across my chest. Turn the right pocket back & around and "stretch" the left lat down & across. Also take the arch out of the lower back, forgot to mention that before, it'll help the pivot. Here is a picture from my doing dry motions last night in my basement after the response from Erik. I have the feeling of taking the back pocket towards the target, and I am really trying to exaggerate the spine/axis tilt away from the target. Not really concerned with where my arms are going in this picture since I know it changes when I'm holding an actual club. I did a few dry swings choked down about halfway on my putter and they felt solid. Having the feeling of bending over the right hip helped. One thing I have learned so far is that I have to exaggerate ALOT, basically to the point of doing the opposite motion, before I am able to feel what the proper motion feels like. I will try some dry motions without the arch in the lower back at setup. I will continue to do these dry reps each night until I can get to the range. I might be able to get to the range on Thursday, if not then this weekend for sure. Thanks for the help and advice so far! You want to round your lower back more. You get that arch in it and your upper spine is almost tilted towards the target. Thanks for the thread, I can definitely see the change I need to make with the arch now. I'm guessing when I do this its going to feel like I'm really hunched over, even though I'm sure it will look normal on camera. 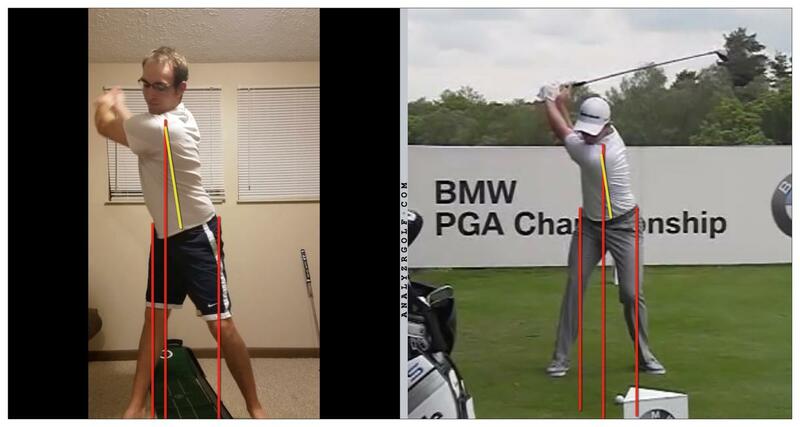 I will try a couple of the drills Mike referenced to get the posture down and see how that impacts the axis tilt. I can't see your feet, but make sure your right foot doesn't roll. Some people will over-extend their right knee, roll their right foot, and do some other weird things. You should be able to do this while retaining a little right knee flex. Fully straightening it is not necessary. Your hips aren't exactly turning forward here, as you can see. Basically going to feel like you're not bending over from the hips and that your tailbone is tucked under you. 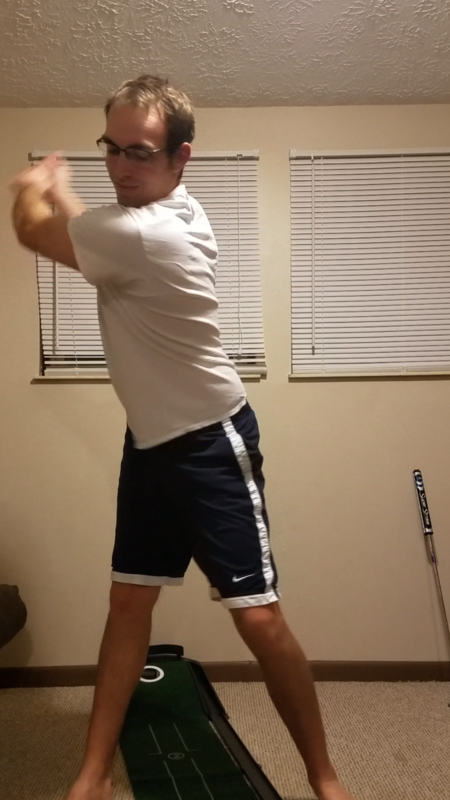 I will work some dry swings tonight focusing on posture at address as well as the axis still and hip rotation. I did just order one of these https://www.amazon.com/gp/product/B00SHJPMEU/ref=oh_aui_detailpage_o00_s00?ie=UTF8&psc=1 so I will be able to record the video on my phone at the range. Previously I was using a GoPro on a small tripod that sat on my golf bag. It worked fine for capturing video, but due to the small screen size I had to wait until I got home to look at the video and determine if I was doing a motion correct or not. Now I will be able to review after each swing at the range which should help me progress faster. I'll post an update pic/video later tonight after I do more dry work. After two separate 45 min sessions of dry swings and videos tonight, this is where I am right now. I started off really slow and exaggerated, but towards the end it was closer to full speeds. I think it looks a lot closer to a centered pivot than it has before. I also worked on posture and minimizing the arch, and that felt fine and relatively easy to implement. 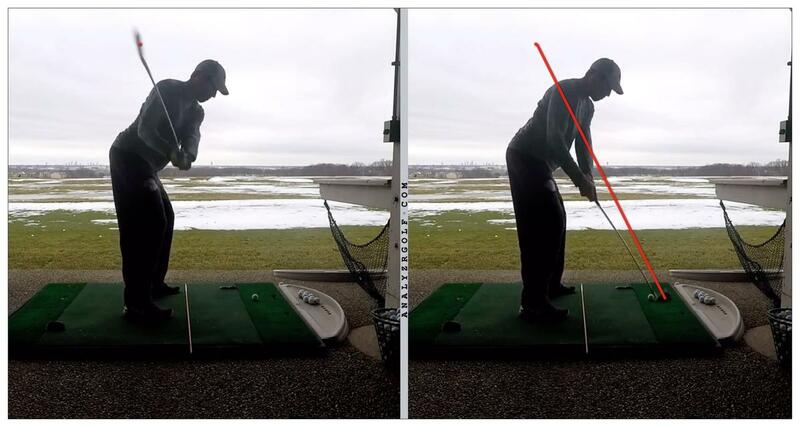 When doing multiple swings in a row I just had to reset posture every so often to make sure it was correct. Im using a driver shaft choked halfway down just so I have something in my hands to simulate a club. I dont have the space to do full swings indoors.